Christopher Columbus was aware of the existing rivalry between the European kingdoms for trade routes to the East Indies and the spice trade. He thought he could reach the East Indies by sailing westward. He made several proposals to European monarchs and the expedition was funded by King Ferdinand and Queen Isabella of Spain. Columbus found the New World. He sailed around the beautiful islands of the Caribbean, convinced that he’d found the East Indies. He claimed it all to the Crown of Castile and called the people Indians. He began a chain of events which would affect the world’s history for the next 500 years and more. Puerto Plata, the city on this beautiful lush island where we had an unforgettable holiday was initially founded in April of 1493, and the settlement was known as La Isabella. It is a favorite vacation Mecca that has grown exponentially in the last twenty years or so. Santo Domingo is the capital city of the Dominican Republic and the population at the time of our visit was over 5 million. We also visited a few villages close to Puerto Plata where we’ve met some of the kindest and happiest people. Two days per week the resort chef did a sea food cook outside on the shore. The beach was set up with plastic tables and chairs. 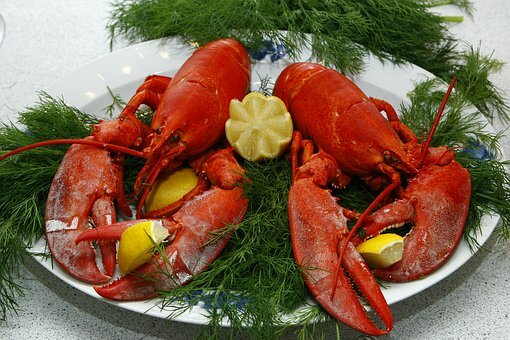 Lobsters floated in an ice bucket next to the enormous grill. A second bucket was filled with countless bottles of beer coated with ice. Puerto Plata’s property development was on steroids in this time and we planned to check it out in the morning prior to the BBQ. We met a real estate agent who had been marketing a large condominium development. We spent so much time with the agent that by the time we got to the hotel the lobster grilling was finished. I was so disappointed I could have cried. Luckily for me, I had yet another chance to have lunch in the grilling before we had to leave. I made the most of the lunch. I was the first to book a table for the two of us. Covered with sun tan oil and wearing a large hat, we sat at the table, feet in the sand, sipping a bottle of cold Dominican beer and inhaling the mouth-watering aromas blowing in the grill. I was sitting on a seat, my feet dug in the hot sand, a plastic table in front of me covered with a paper tablecloth. The waiter served me a huge lobster, ready to eat, followed by a bowl of steaming hot butter flavoured with herbs and garlic. I had been waiting for this… shells cracked, tossed all around the table, my hands and face covered with warm garlic butter… loving my food – it was awesome! I was like a mischievous kid, happy to make a huge mess and enjoying myself! It was great to be a child again if only for a short time. Try it. I recommend it! This was the most sensuous meal I’ve ever had. Can’t you just see? Dreams come in all shapes and sizes and this was a happy dream come true for me! Columbus had a great dream and it came true for him in more ways than he ever dreamed of.